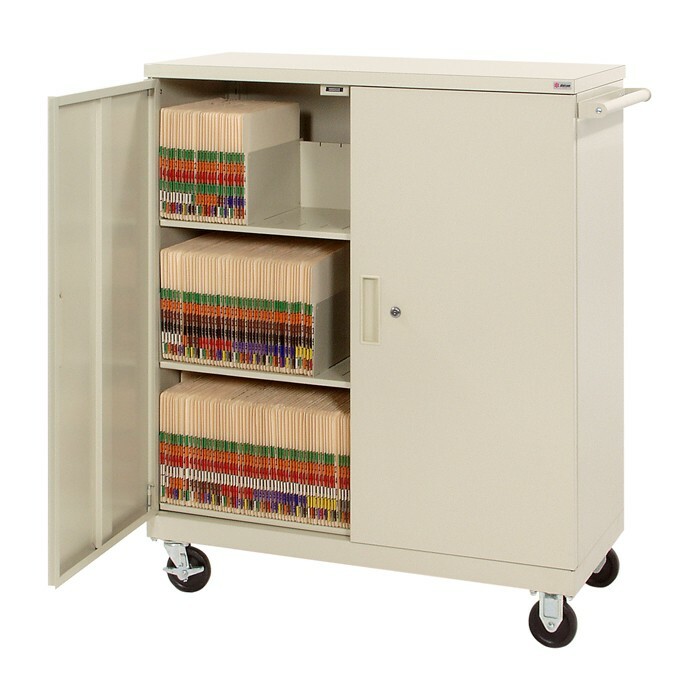 Description: Deluxe HIPAA 3 Tier File Folder Cart offers a generous amount of shelf space for end tab files, charts, folders, etc. Unit has four rubber casters; 2 locking which make for easy turning and smooth cornering. Huge 105 linear filing inches capacity. Clearance between shelves is 11". The cart is built for durability and daily use with 20 gauge steel. Made in the USA. Some assembly required.